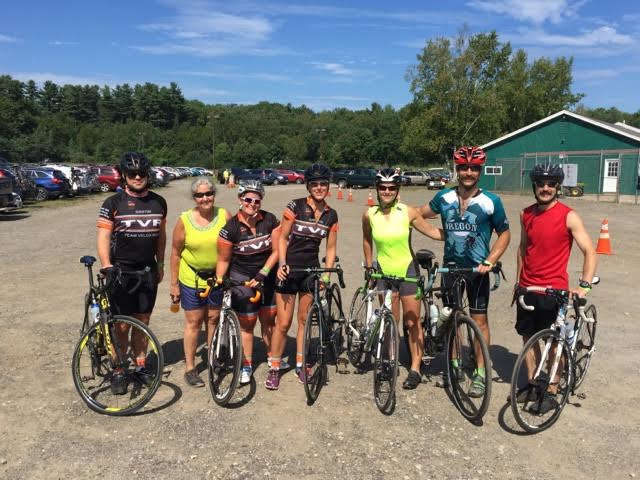 The New England Parkinson’s ride was created by the Woods family in the Summer of 2008 after Chris Woods, an avid cyclist, was diagnosed with PD at the age of 41. He was a regular at the annual Diabetes and MS rides, but his family found that there was no benefit ride for Parkinson’s research in the US, so they started their own. 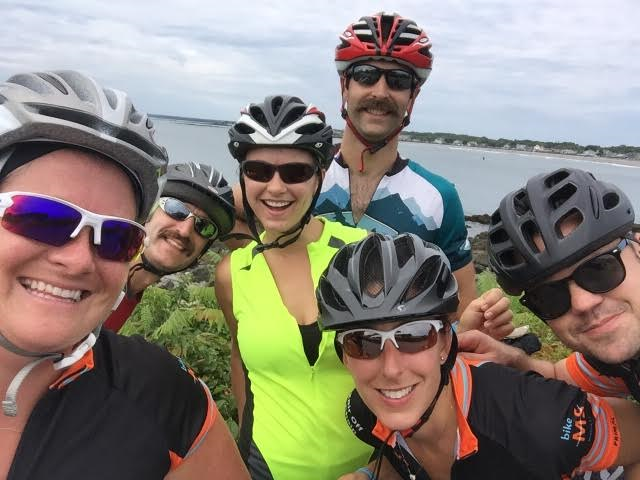 The first year only drew only 35 riders but as of last year, it grew to 800+ cyclists (from 19 states & 3 Canadian provinces) and 200+ volunteers. In 2015 alone, it raised $547,000 and the cumulative total since the rides inception has now surpassed $2 million. For two years in a row it has been the largest independent single-day fundraising member event for Team Fox in the history of the Michael J Fox Foundation. 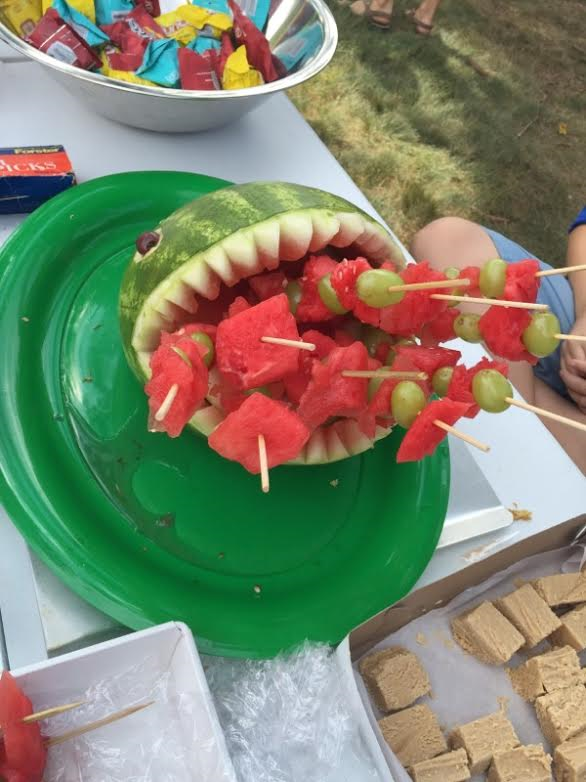 A watermelon monster at the 2nd rest stop of the day. All rest stops were very well stocked, this one especially, with a huge variety of desserts. The event continues to grow, and for good reason: all the routes I have ridden so far have been great (especially the segments along the coast), the rest stops are VERY well stocked and staffed, they raffle off great prizes, and they also provide meals and entertainment the night before and immediately following the ride. This year our group, dubbed Team Tim, was made up of 7 riders: my Mom rode the 10 mile route and Charity, Greg, Rachael, Casey, Rachel and I rode the 50 mile route. This was Rachel and my 2nd year participating in this event. We’ve had a great experience both years, but it was especially fun with the larger group this time around. Hopefully next year we will be back with even more family and friends. The date for next years event is September 9th, 2017, so mark your calendar! Also – if you were hoping to contribute to the cause, our fundraising pages (Rachel & Chris) are still active. As always, any amount is greatly appreciated! 100% of donations go directly towards to the Michael J. Fox Foundation for Parkinson’s Research. The video below is a personal thank you from Michael when the ride first hit the $1 million dollar mark. We are SO bummed we missed this!! We will be there next year, promise– hopefully no more work trips to Alaska! Love you all!